This section contains links to gun shops and specialist gun dealers located throughout Scotland. WR Hardy stock a selection of shotguns, rifles and air rifles along with all-weather shooting clothing by leading brands. Service, help and advice are our priority. Suppliers of best quality English and Continental guns including Sako and Tikka rifles together with Beretta, Franchi and Lanber shotguns. Wide range of shooting accessories also available. 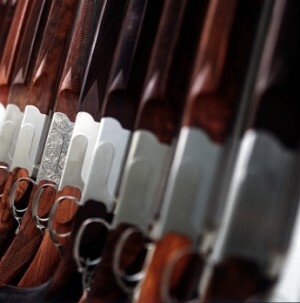 We can provide you with advice on the shotgun, rifle or airgun that would best suit your requirements. New and second hand guns in stock, gun repairs and storage also available. Scott Country's sporting goods include outdoor clothing, shooting supplies and country lifestyle accessories. The Gun Room offers leading makes of new shotguns and pre-owned guns. Forrest of Kelso are country pursuits specialists in the Scottish Borders. We stock everything for the country enthusiast, whether it's fishing, shooting, walking equipment or gifts.